As demand for perishable products grows worldwide, efficient and effective cold chain management requires strong partnerships and quick reactions. Shippers have been managing the challenge of transporting temperature-sensitive goods since the 1700s, when British fishermen began using ice to preserve their catch while at sea. 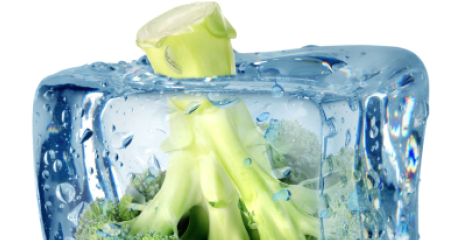 Today, the global market for cold chain products is expanding rapidly. Developing countries are driving some of the growth. "Even with the economic downturn, overall quality of life is improving globally," says Curtis Foltz, executive director of the Georgia Ports Authority. "People with more economic means are more likely to consume vegetables, fruits, and protein-based products, creating higher demand for these products worldwide." Correctly maintaining the temperature of perishable products is necessary to preserve quality and safety from the point of harvest or manufacture through the supply chain to the consumer. For food products, failing to maintain proper shipment temperature can result in textural degradation, discoloring, bruising, and microbial growth. With reefer exports and imports both on the rise, ports throughout the nation are gearing up to handle additional loads. "Some companies that were looking to expand or upgrade at ports a few years ago put plans on hold during the global economic downturn," says Lowell Randel of the Global Cold Chain Alliance. "Today, in anticipation of growth, many are going forward with plans to open additional facilities or update existing ones." For example, the Port of Miami, already a major gateway for perishable imports from South America, and the gateway for one-third of total U.S./Latin American trade, expects additional significant growth once the Panama Canal expansion is completed. Meanwhile, warehousing provider Nordic Cold Storage is expanding operations at the Port of Savannah, Ga., the second-busiest U.S. container port for the export of American goods by tonnage in fiscal 2011. The port handles nearly 40 percent of the nation's containerized poultry exports, supplied largely by Georgia's farms. Nordic recently opened a new convertible temperature-controlled storage and blast (quick freeze) facility expected to give shippers more cost-effective options for moving refrigerated commodities to and from international markets. The new site features more than 200,000 square feet of convertible temperature-controlled storage space, and is capable of blasting more than 10 million pounds of product per week, ranging from fresh poultry to produce. The $30-million facility currently employs 150 workers, but Nordic plans to start a second phase by the end of 2013. "Right now, we have more demand for refrigerated warehousing than we have facilities," says Curtis Foltz, executive director of the Georgia Ports Authority. "The cold chain works best when you have a balance of imports and exports, and this new facility will be great for both. That balance helps allow producers to be competitive and provide their products cost effectively." The new cold storage warehouse began receiving its first shipments in April 2013.